National Women’s History Project publishes Gazette about 2020 centennial! Headlines about Women’s Suffrage News & Centennials on Vimeo. “How Women Won the Vote” is the theme of the National Women’s History Project’s “Gazette,” a 24-page special issue. It includes a valuable “Call to Action” to alert citizens from coast to coast to get ready for the 2020 national suffrage centennial. A single copy is free. A total of 25 copies can be purchased for $10 from the NWHP store online. The National Women’s History Project’s 2017 special edition devoted to the women’s suffrage grassroots movement is a pivotal and groundbreaking marker in time alerting Americans to write women back into history. This has been the vision of the NWHP for the past 35 years. To keep a 2020 national suffrage commission focused on history rather than politics will be a challenge. Some political operatives are already turning the 2020 national centennial into an ideological battleground with the appointment of those who will serve on the commission. It wasn’t long ago that most Americans didn’t understand the meaning of or they couldn’t pronounce the word “suffrage.” Even fewer were aware of what it meant. This is changing. Don’t forget that the “How Women Won the Vote” issue is available for bulk distribution through the National Women’s History Project’s store. Prior issues of the NWHP’s publication have been popular among educators and organizations. Follow SuffrageCentennials.com on Facebookpage, Twitter, email subscription, and the Quarterly Newsletter. Sign up for email on this web page. Stay up to date with postings, audio podcasts, and videos. Plan for your suffrage centennial event. 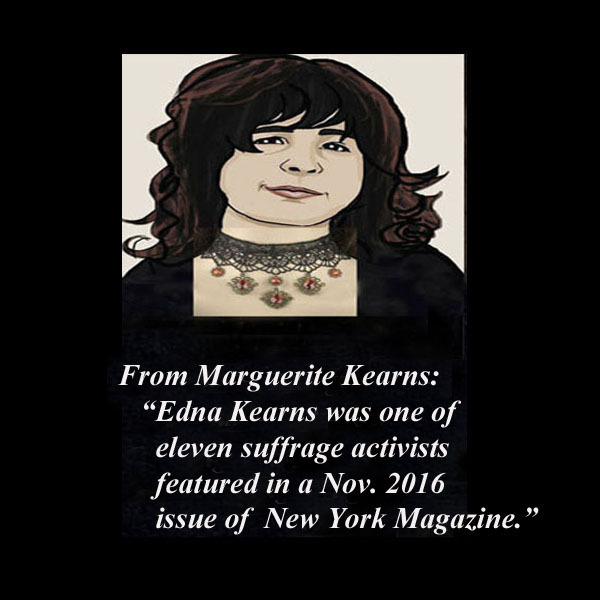 Edna Kearns and attention for her women’s suffrage work! on Vimeo. Recognition comes from many directions. Here’s a link (below) remembering suffrage activist Inez Milholland on “Miriam’s Well,” a blog by well-known poet and writer Miriam Sagan. Planning & preparation for 2020 suffrage centennial observance! Protect American women’s voting rights! on Vimeo. In honor of the August 26, 2020 U.S. centennial celebration, the National Collaborative for Women’s History Sites (NCWHS) is developing a nationwide Votes for Women Trail that will highlight the role of each state in the 72-year campaign to win votes for women. Will you join? The trail will feature the buildings, sites, historical markers, and monuments where woman suffrage activity took place in the United States before August 26, 1920. The goal is to create a national trail dedicated to documenting the story of woman suffrage, but it’s necessary to start on the local level. When in doubt, submit! The coordinating editor of the Votes for Women Trail reviews all submissions and will make the determination if the site should be included. HarperCollins will publish a nonfiction book by Ann Patchett about women’s voting rights to honor the 2020 centennial. The book Vote will bring together suffrage history, Patchett’s personal experience registering voters, and advocacy about the importance of voting. Patchett lives in Nashville where she owns the bookstore, Parnassus Books. PBS’ American Experience is developing a four-hour documentary for 2020. This opens up an opportunity for us to approach local or state PBS stations about preparing related documentaries about suffrage history. The Minnesota Historical Society is preparing a major exhibit on the American suffrage movement for 2020. The exhibit will first be housed in St. Paul MN at the Minnesota History Center and then will tour. Contact your city or state historical society or museum and ask them to host the MHS suffrage exhibit or develop one with local or state content. Museums in Kentucky, Arkansas, Boston, Washington, DC, Cincinnati, California, Washington state, and others are already laying the foundations for 2020. Women’s suffrage centennial news updates! Wyse Talk – Kenneth Florey: 5/19/2016 from Branford Community Television on Vimeo. Scholar and collector of women’s suffrage materials Kenneth Florey discusses his published books and is generous when sharing his knowledge and love of the women’s suffrage movement. The above video from Vimeo is one such example. Check out Kenneth Florey’s website. Highlights from Kenneth Florey’s book on suffrage movement postcards. 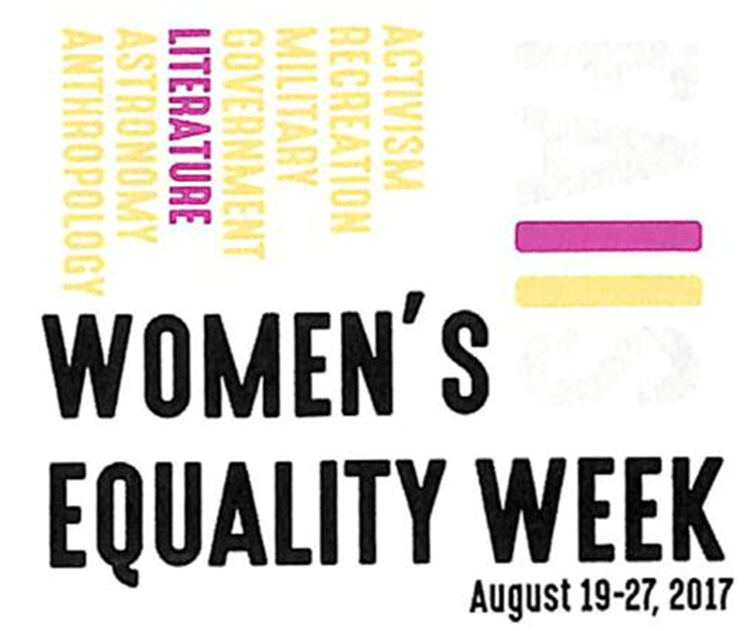 Suffrage activist Alice Paul used the title “Toward Equality” for her 1928 law school thesis. The volunteer task force planning the national 2020 centennial has chosen “Toward Equality” for its logo and campaign theme. The Minnesota History Center Museum is working on a suffrage exhibition to travel across the nation in 2020. 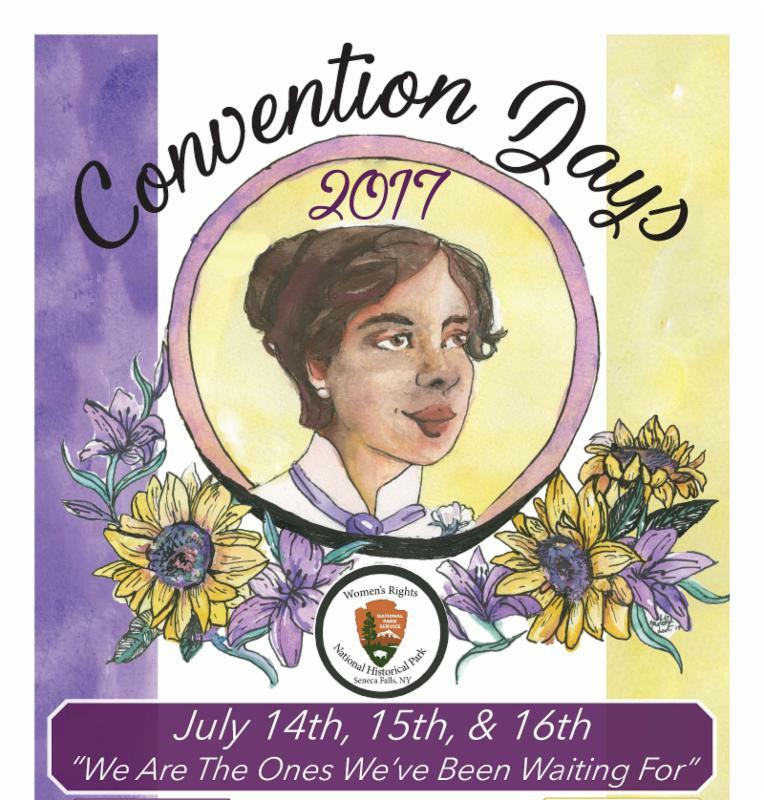 The Lake George, NY Historical Association opened its exhibit on women’s suffrage in May of 2017. Increasing amounts of suffrage-related jewelry is now available on the market. Performances of suffrage songs from history are also popular. Performer Linda Allen from the state of Washington is one example. The 2020 Women’s Vote Centennial has a listserv. An update on a federal bill to establish a 2020 suffrage centennials is being monitored. Senator Tammy Baldwin (D-WI) introduced the Women’s Suffrage Centennial Commission Act into the 115th Congress in April. The bill is co-sponsored by 15 of the 21 female senators; 14 of the 15 Democratic women co-sponsored (plus Republican Susan Collins of Maine). The bill has been included in the FY 17 omnibus spending measure with a $2 million appropriation attached. It must still pass the House and be signed by the president. June 2015: Two bills establishing the commission (A01019A/S02388-A) passed unanimously by both the New York State Assembly and New York State Senate with the support from Senator Little and Assemblymember Gunther. November 2015: NYS Governor Cuomo signed the state centennial commission bill into law. June 2017: Meeting of Suffrage Commission in New York City. Preorder exhibit catalog for suffrage centennial exhibit! 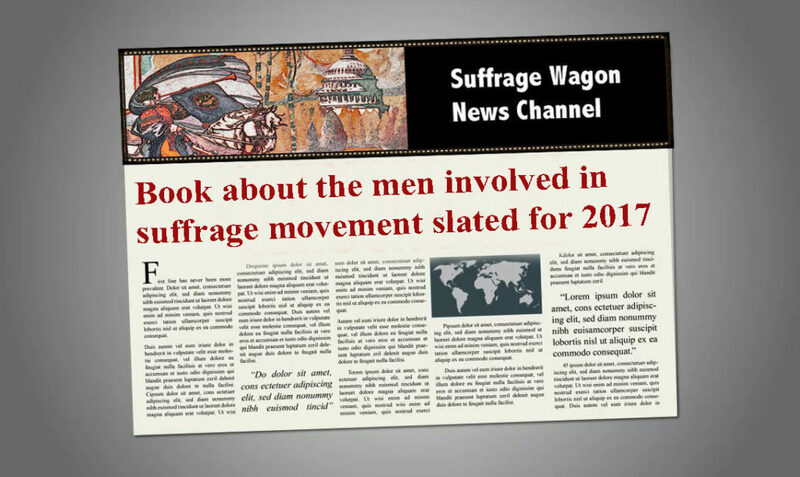 Audio podcasts on Suffrage Wagon News Channel. 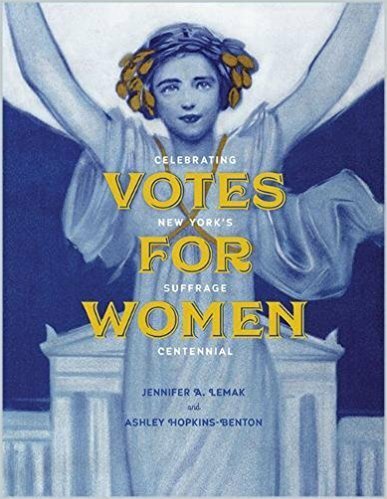 Votes for Women, an exhibition catalog for the November 2017 exhibit at the New York State Museum in Albany, NY is available for advance ordering on Amazon. The exhibition paperback celebrates the pivotal role the state played in the struggle for equal rights in the nineteenth century, the state campaign for suffrage, and the ratification of the Nineteenth Amendment. It highlights the nationally significant role of state leaders relative to women’s rights and the feminist movement through the early twenty-first century and includes focused essays from historians on the various aspects of the suffrage and equal rights movements around New York, providing greater detail about local stories with statewide significance. The exhibition of the same name, on display at the New York State Museum opening November 4 2017, features artifacts from the New York State Museum, Library, and Archives, as well as historical institutions and private collections across the state. The “Spirit of 1776” suffrage campaign wagon used by Long Island and NYC suffrage activist Edna Kearns will be part of the November exhibit that runs through May 2018. Quarterly newsletter form. Follow Suffrage Centennials for upcoming events and celebrations. Wagon graphic by Ray Lund.